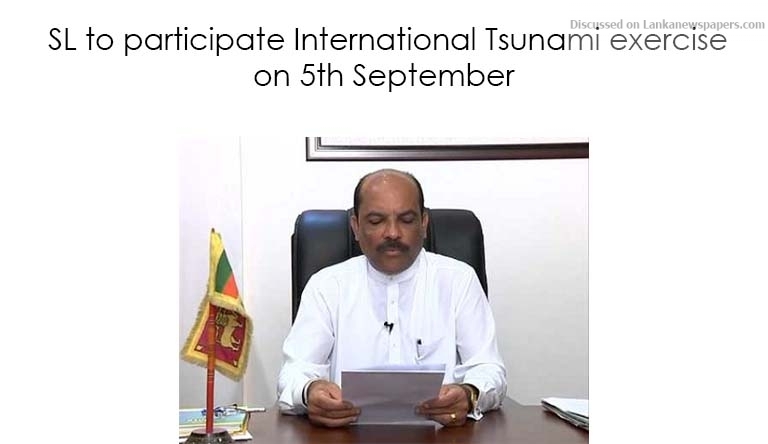 A special tsunami drill scheduled to be held on Wednesday (5) in Ampara, Mullaitivu and Galle districts inline with the International Tsunami exercise participated by 28 countries, State Minister of Irrigation and Water Resources and Disaster Management Palitha Range Bandara said today. Speaking to Daily Mirror, State Minister said that the exercise would be held under the supervision of both state and international bodies. State security services including police, health services, government and non governmental organisations and the residents of the selected areas to be participated in the event. During the exercise, the function of the all island-wide tsunami warning towers also to be checked. State Minister Bandara said that Sri Lanka has reached to 4th position at the list of most vulnerable to disasters. Therefore he stated that as a country Sri Lanka should learn how to minimise the disaster impact and also should learn how to behave in such a situation.